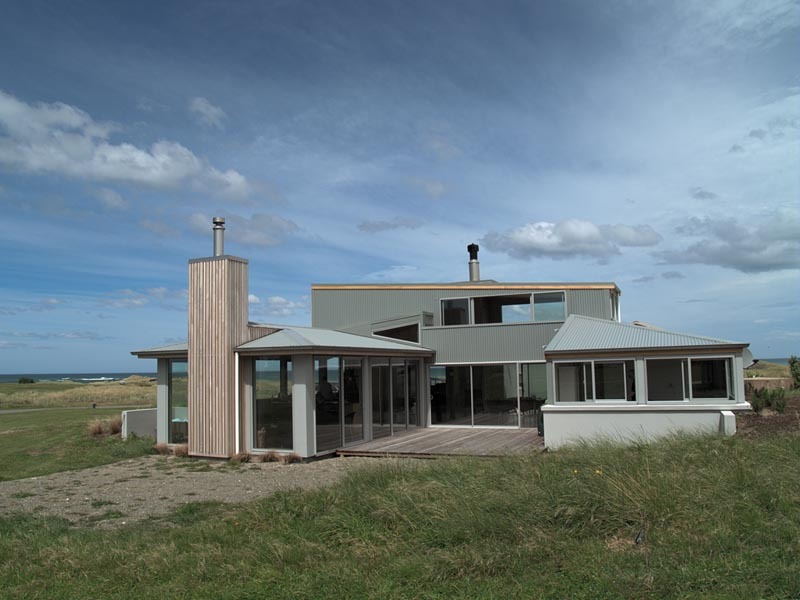 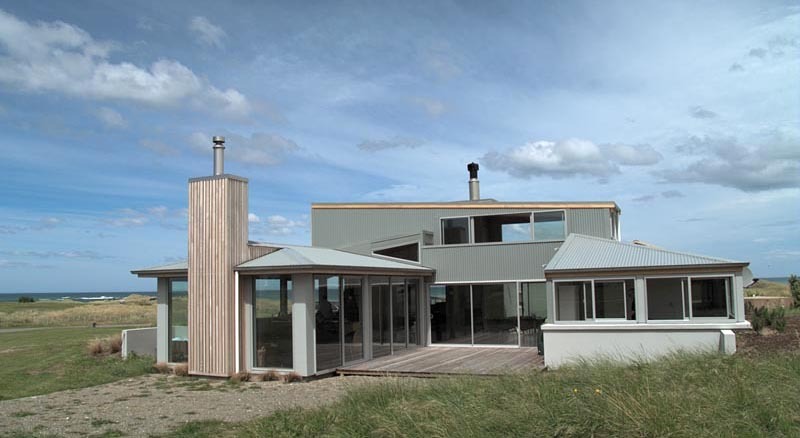 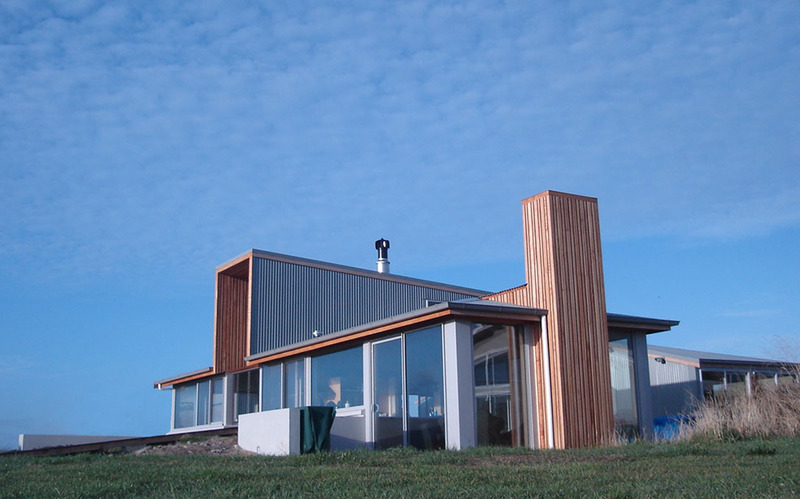 his beach house on the Wairarapa coast is about two hours drive from Wellington – not far from Castlepoint. 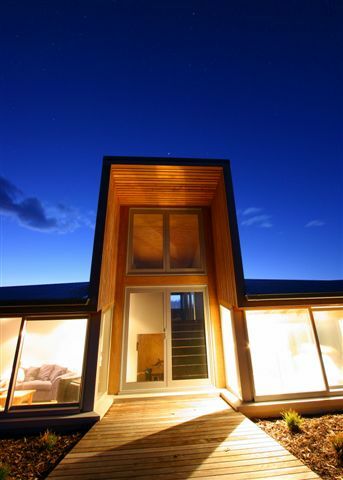 Its a holiday house designed for two couples. The house is on Flatpoint station – and led to me designing a second house for the McGuinness family who own Flatpoint Station. 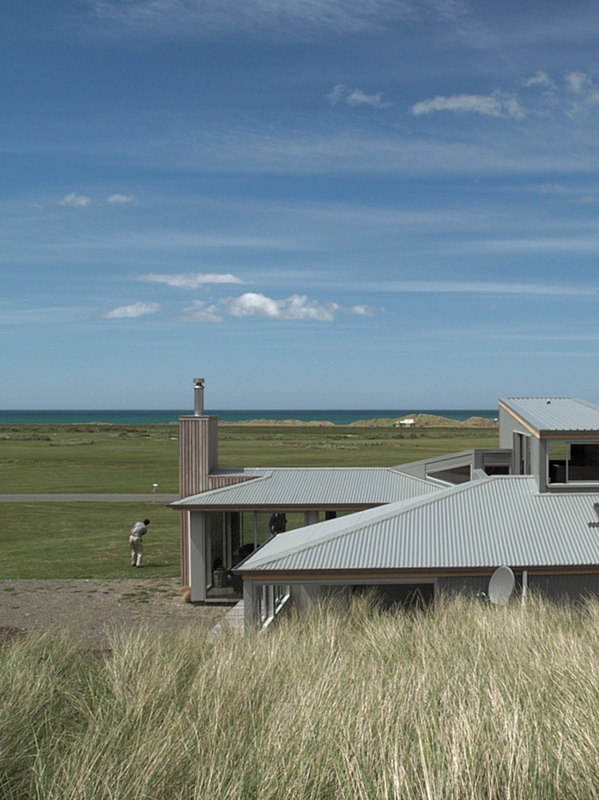 The house is configured in two “pavilions” – with a bedroom wing sheltered into the sand dunes behind the house and a living wing open to the view. 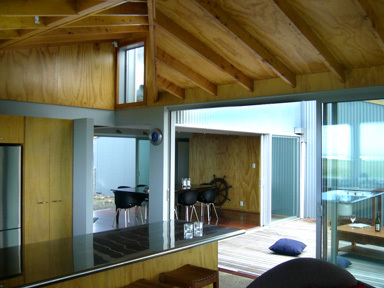 A sheltered deck sits between both wings of the house. 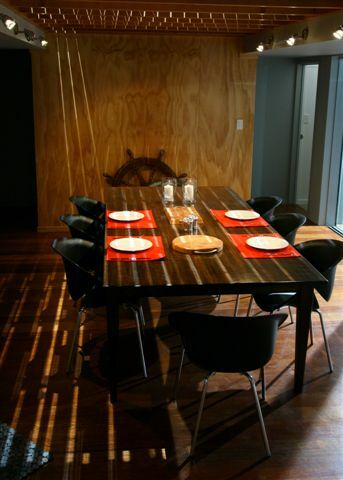 The materials are “rustic” – exposed half height block and ply walls and ceilings with polished concrete floors. 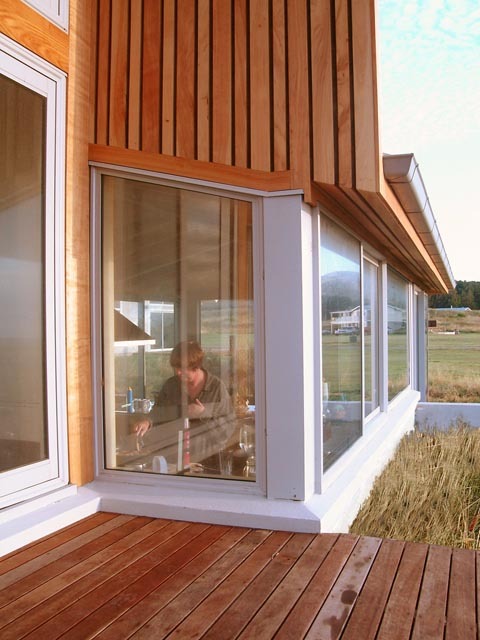 So its easy to maintain. 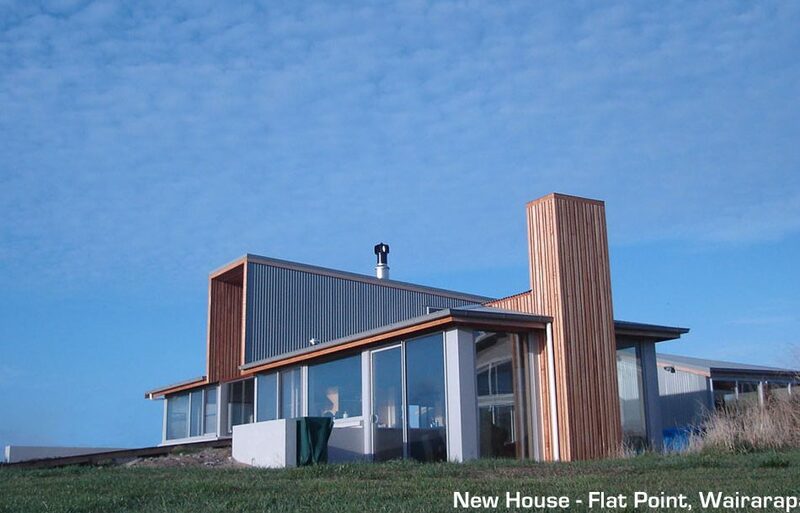 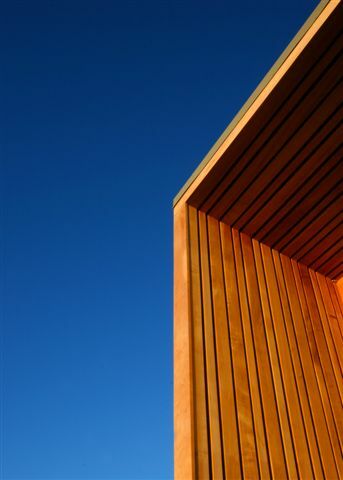 The house forms and cladding are influenced by the many farm sheds and buildings you see on the drive up to Flatpoint from Welly. 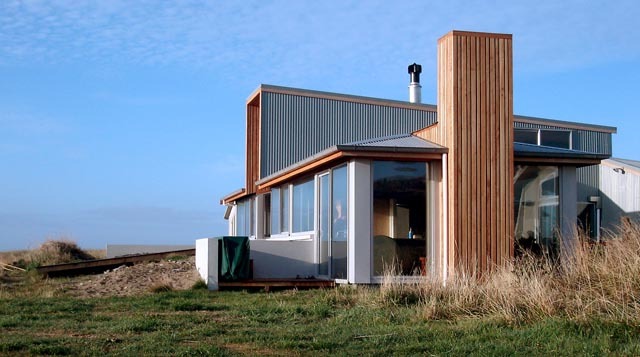 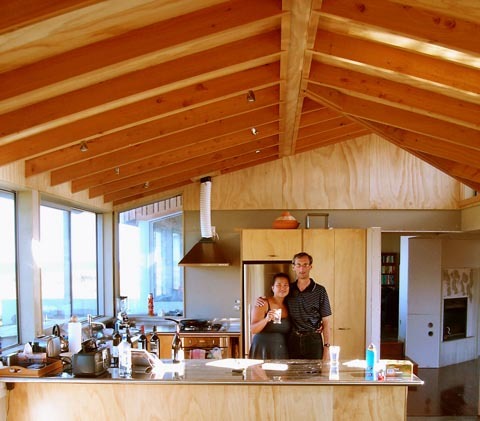 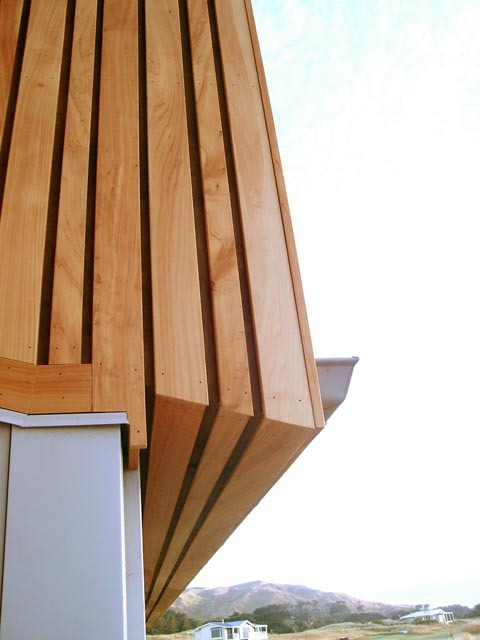 Its beautifully built by the very talented Mark Hewitt Builder based in Masterton.